Do You Want To Be "On The Radar" of Executive Search Firms? As I am writing this post, senior executives around the world are creating their free profiles on GatedTalent, in order to be discovered and contacted by executive search consultants. More than 190 Executive Search firms from nearly 30 countries use GatedTalent to find and connect with senior level executives. 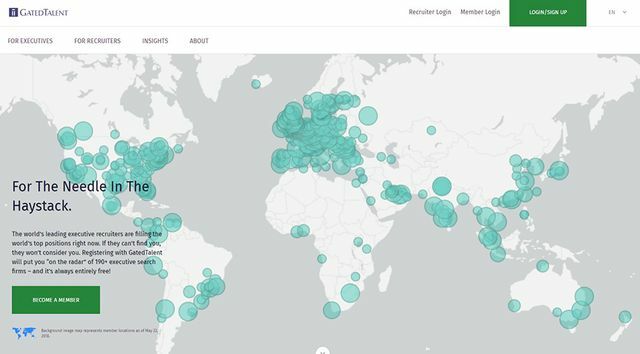 Executives from more than 75 countries have creates profiles since March 2018. Our members make up the C-Suite, with CEO amongst the top 3 current positions held in the platform. GatedTalent is always free to the executive, with no subscriptions or charges at any point. So if you are looking to be "on the radar" of leading executive recruiters for future opportunities, visit GatedTalent and create your free profile today!